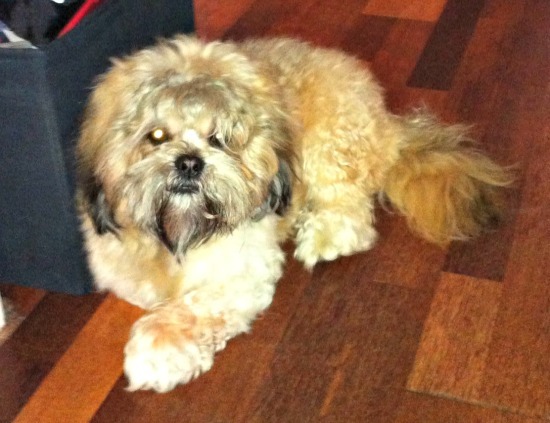 What are Lhaso Aphso's really like? Find out in this breed interview! 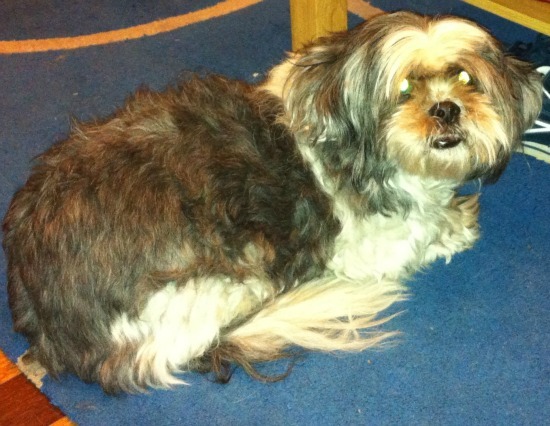 Karen Muir took the time to speak to us about her experience of living with her two Lhaso Aphso dogs. Q: Can you tell me a little bit about your dogs please? A: This is Oscar And Fudge. Oscar (grey and white) is 9 yrs old and Fudge (tan and white) is 2 yrs old. We got them both from different private breeders at approximately 8 weeks old. 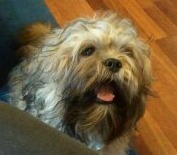 We brought Fudge home on Christmas Eve 2010! Christmas day was chaotic with 4 children lots of wrapping paper and 1 very tiny puppy jumping around! Q: How easy were they to train? A: Oscar was very easy - he's so good natured. He walks well, doesn't pull and was house trained very quickly! Fudge is headstrong and likes to think he's in charge. He doesn't like being held back while out on walks. He cries to get ahead and catch up if the kids are in front! He likes being the leader!! Fudge is a good boy though and obeys basic commands but it took a while to get him to recall off the leash. For a while we had to shout Oscar back and Fudge would come running too so he didn't miss out on any attention! Q: How much exercise do Oscar and Fudge need? A: Oscar is content with 2 x 10/15 minute walks and a run around the garden especially now he's getting older and his knees are bothering him. He also point blank refuses to go out in bad weather! ( which, in Scotland, is often!). Fudge just adores getting out! I took him on a 3.5 mile country walk a few days ago and he was still desperate to run around when we got home! He gets about an hour a day and plenty of time out in the garden too. 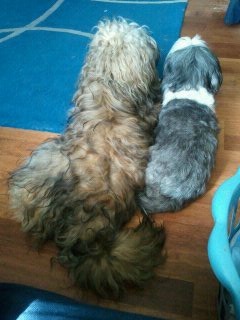 Q: Do your Lhaso Aphsos have a particularly "doggy smell" and how is their coat in terms of shedding? A: Both dogs don't shed very much and they aren't particularly doggy smelling however they both like a good roll about in the fields which stinks a bit! Q: Are your dogs excessive barkers? A: Oscar is getting slightly deaf so barks more these days especially if he gets a fright when sleeping. Fudge doesn't really bark much. Q: Do Oscar and Fudge have good recall off-leash? A: Oscar is excellent though now he doesn't really run ahead anymore. Fudge is calming down now and will come fairly quickly. He does tend to get distracted by people though! Q: What are they like around other dogs? A: Very good - both are curious and happy to sniff and play. Q: What are Oscar and Fudge like around children? A: Really good, they are used to being around little ones and tolerate a lot! 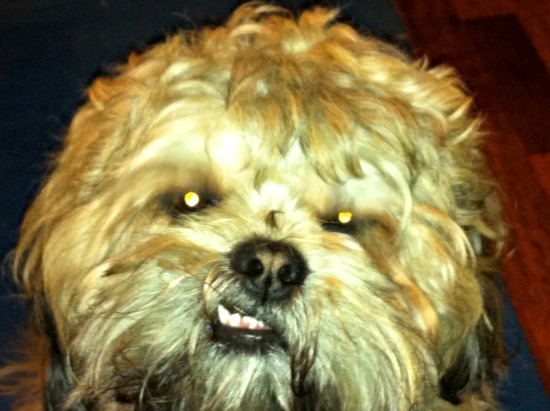 Q: Would you class your Lhaso Aphsos as high maintenance or fussy eaters? A: No they will eat pretty much anything! Q: Can Oscar or Fudge do any tricks or do they have any funny quirks? A: Fudge likes to lie on your feet so as soon as you stand still he'll lie down on top of your feet! I trip over him constantly! He also has a bit of a "sneer" going on which always makes me giggle!